You will find here all the documents, press articles, photos and videos about ARMALITH®, its history and performance. These jeans made of ARMALITH® by ROKKER are great option for those who look for motorcycle women regular jeans that provides high abrasion resistance in case of motorcycle fall on the tarmac. BOLID’STER present a new line product of high performance urban jeans made of Armalith® Light. 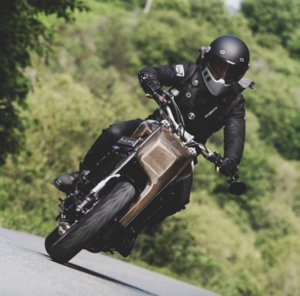 Alain Bour, professionnal stuntman, tests the JACK’STER jacket and the RIDE’STER II jeans of BOLID’STER made of ARMALITH® “Power Stretch” under real conditions at 85km/h over a distance of 35m. Classic and durable riding jeans that are abrasion resistant and exceptionally stylish. 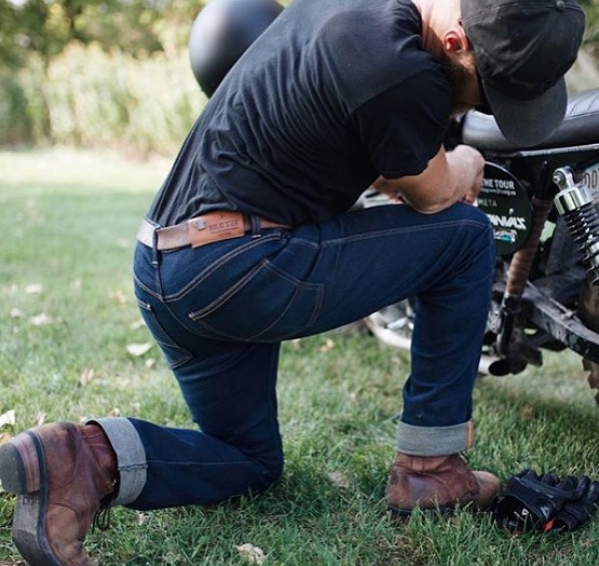 They are also very comfortable to wear off the bike..
Armalith® makes it possible to create raw and classic jeans that also respect authentic denim traditions. For this highly innovative project, Armalith®, an ultra-advanced composite fabric, have been selected to make the saddle for the motorbike. Light-weight Armalith® jeans are perfect for skateboarders in hot weather. They are breathable, absorbant and protect you from abrasion if you fall. A stylish jacket with an urban look that makes no compromise about safety. This jacket is a mix of fabrics. It’s made with soft leather on the arm and Armalith® on the chest. The morning light is ideal to capture the beautiful colours of Armalith®. BOLID’STER is the pilot brand, used as a laboratory, to explore all the possibilities and limitations of manufacturing using Armalith® technology. Armalith® can also be used to make jackets. 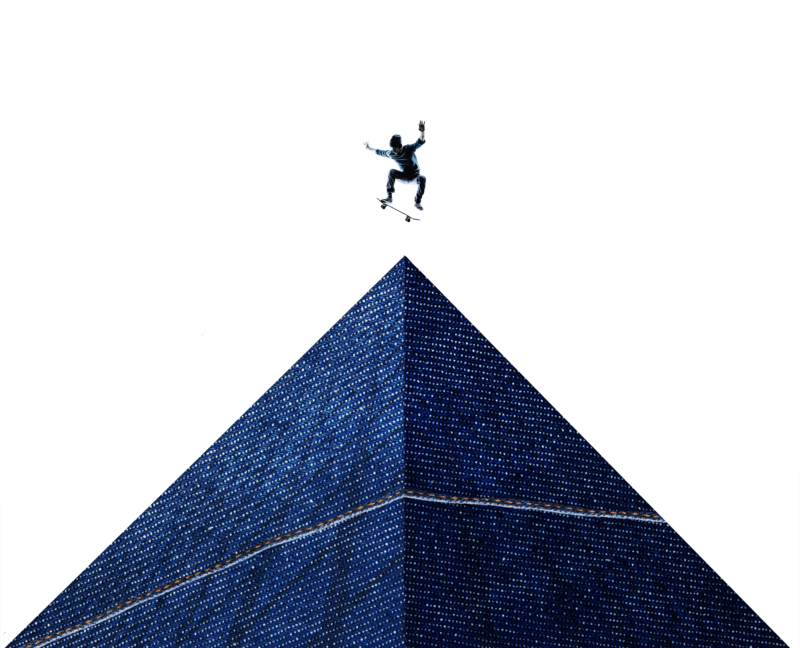 Armalith® jeans are ideal for downhill skateboarding and many other extreme sports.  They guarantee a maximum of freedom of movement and are very resistant if you fall. BOLID’STER products made of Armalith® are now manufactured in France by highly qualified personnel. 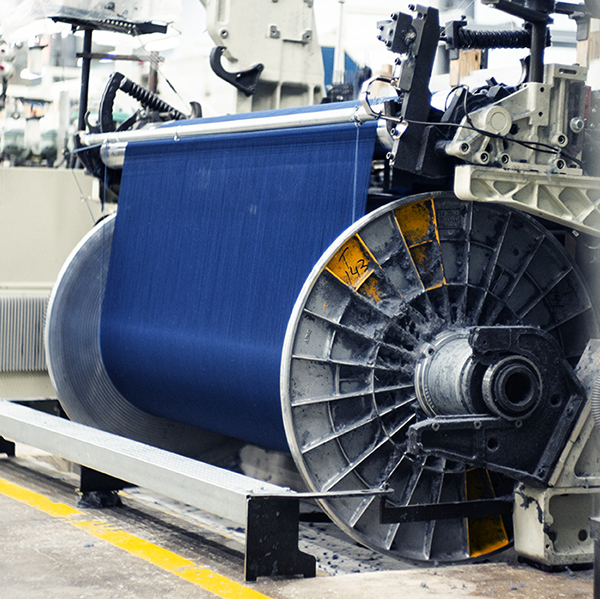 These jeans made from Armalith® are one of the great successes of the ROKKER range. The single layer fabric is very light but still protects you while riding. 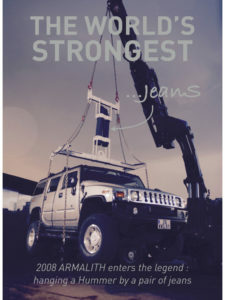 At the Who’s Next show in Paris in 2008, Remy and Dominique Julienne’s team created the unthinkable… They suspended a Hummer H2 at the end of an Armalith® jean. 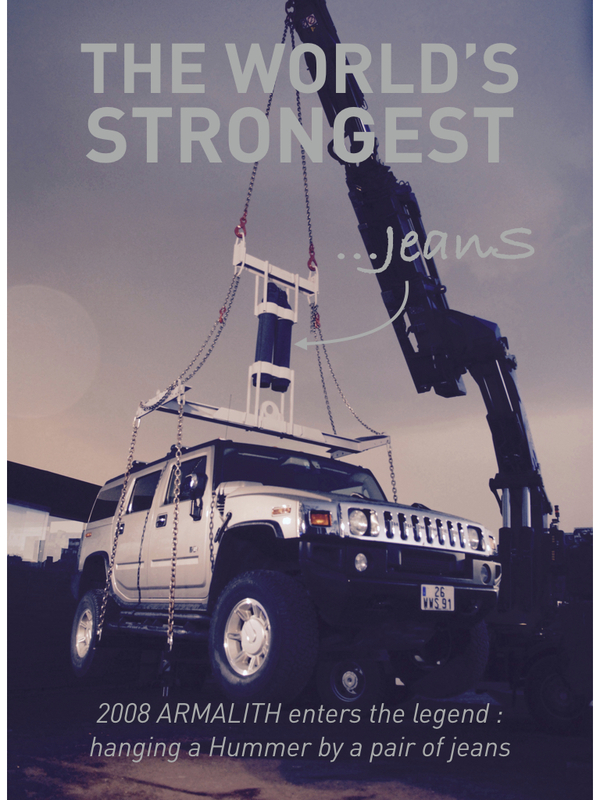 Paris, 2008: Armalith® became a legend by hanging a 4-ton Hummer just from a pair of jeans. 10 journalists and VIPs test Armalith® jeans on the Monneret circuit tarmac. The journalist from MOTORS TV tests Armalith® jeans by leaning out onto the asphalt at 35KM/h. Fortunately Remy and Dominique Julienne’s stunt team was there to keep everyone safe. Armalith® explained in a few pictures.